The Tenth Anniversary Ruination IPA was a highlight of 2012 for me. It took a beer that I’m indifferent to and turned it into something worth crowing about. Apparently I wasn’t the only one who thought so. Stone heard the cries of the beer faithful and decided to turn their one-off anniversary beer into a yearly release. Here is my review of the inaugural release of RuinTen IPA. 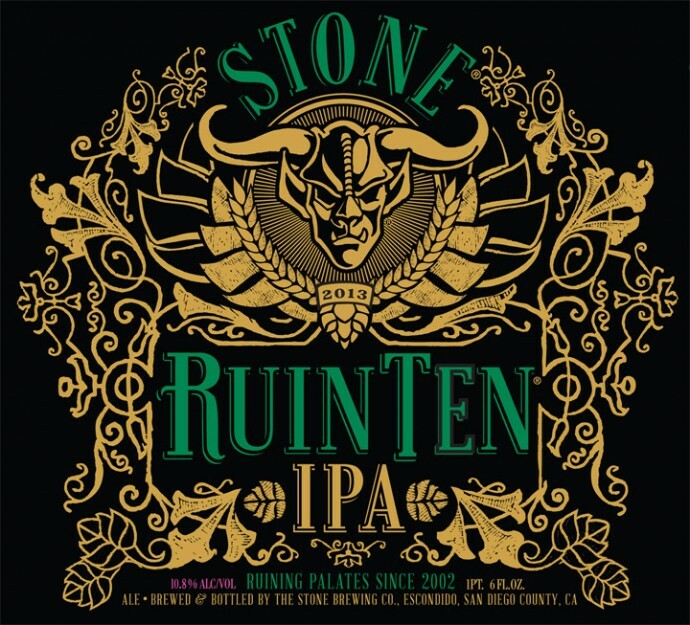 RUINTEN IPA is an American Double/Imperial IPA with 110 IBUs and a whopping 10.8% ABV. Here is a beer that I’ve been sitting on since April of last year. Which I think may have been a good thing. 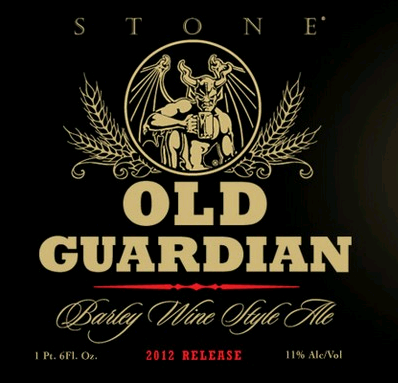 OLD GUARDIAN is an American Barleywine from Stone Brewing Company. This (late) winter release has a 85 IBUs and an 11% ABV.